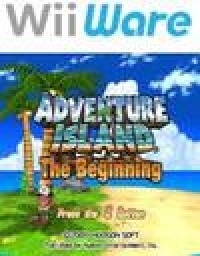 Description: Adventure Island The Beginning comes to the Wii console with exciting new skills and elements. Learn how to use new skills while exploring Adventure Island from coast to coast. Search for Golden Melons hidden throughout the stages and mini-games. When obtaining Golden Melons, you'll be able to purchase various items to help you on your adventure. These items can increase your attack power or enable you to reach places you couldn't get to before. Fulfill certain requirements while playing in any of the modes to achieve a Master Higgins Feat and you'll be awarded a Master Higgins costume. This is a list of VGCollect users who have Adventure Island: The Beginning in their Collection. This is a list of VGCollect users who have Adventure Island: The Beginning in their Sell List. This is a list of VGCollect users who have Adventure Island: The Beginning in their Wish List.